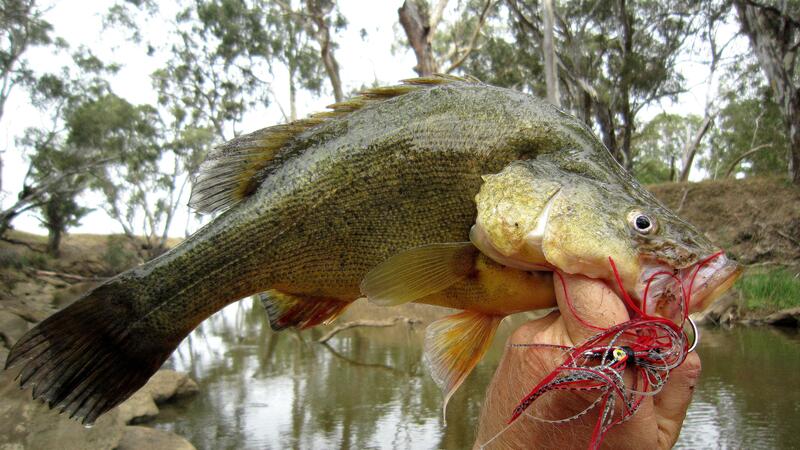 Most of you know that Yellow Belly and Murray cod love the Spring/Summer weather and warm shallow water looking for a free feed. Newly coved ground hold abundance of insect life, grass hoppers, small beetles, caterpillars and bugs that where land base; either caught up in logs or leaf foliage and whatever else had been coving the ground. Water temperature being in the low twenty’s and clear clarity, Murray cod and yellow Belly push right up in to the shallows in search of what’s been newly flooded looking for a free feed.